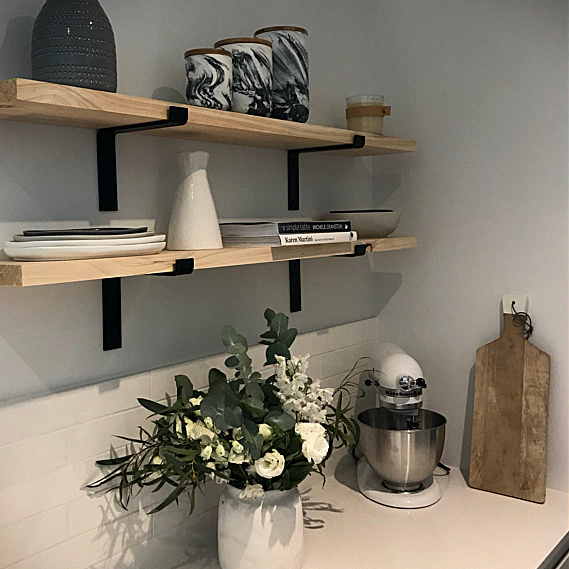 Little Anvil in Australia hand fabricates vintage industrial steel shelf brackets in a range of standard styles, sizes, and finishes. 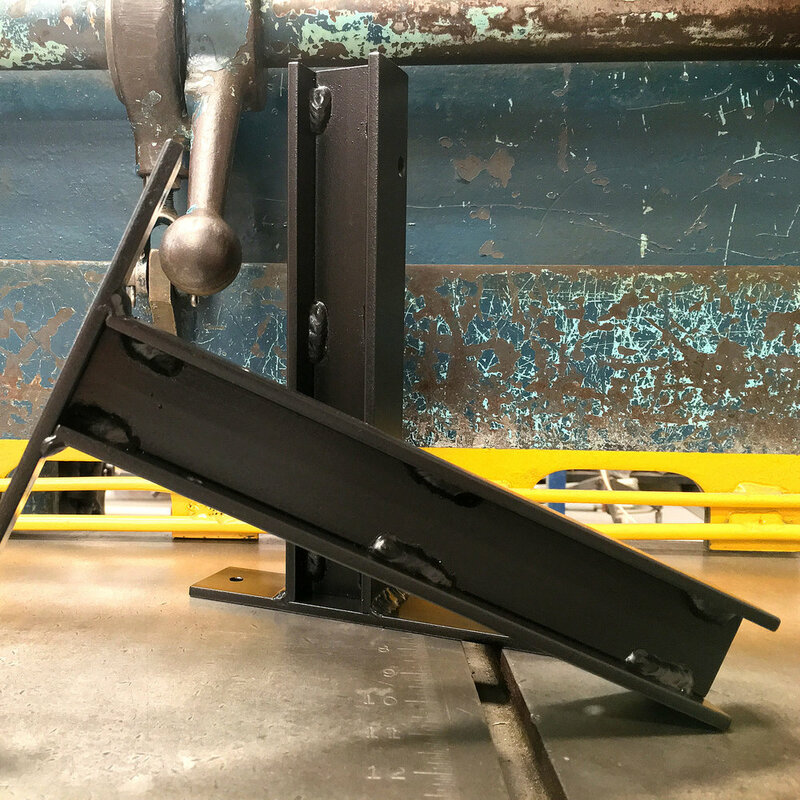 Our standard steel shelf brackets are made from 6mm (1/4") thick x 40mm (1-9/16") hot rolled mild steel and suit 190mm (7-1/2"), 250mm (9-3/4"), and 300mm (11-3/4") deep shelves. 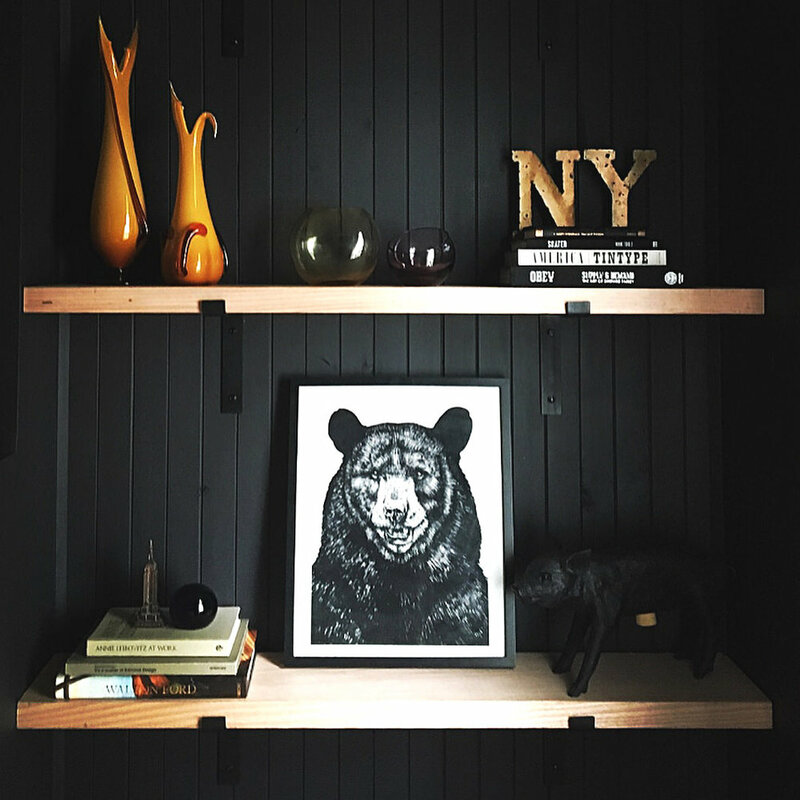 Standard finishes include matte black, heat blackened, and antiqued and sealed. Static weight ratings range from 20-40kg (44-88lbs) each, so for example, use three heavy duty brackets on a shelf, and that's 120kg (265lbs) allowance. 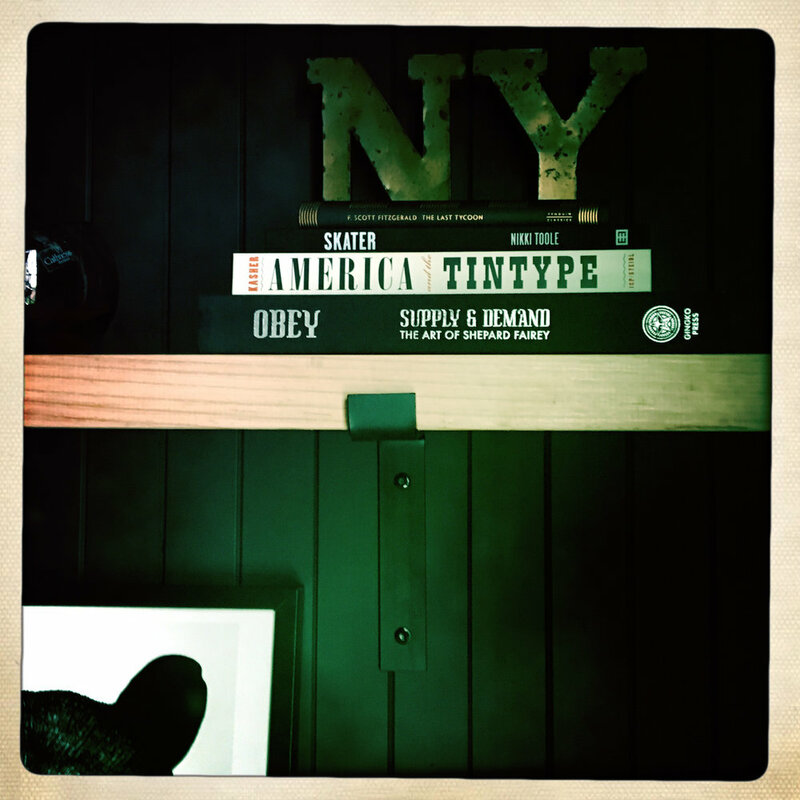 Choose from four styles and specify your own shelf depth from 150mm (6") to 350mm 13-3/4"). 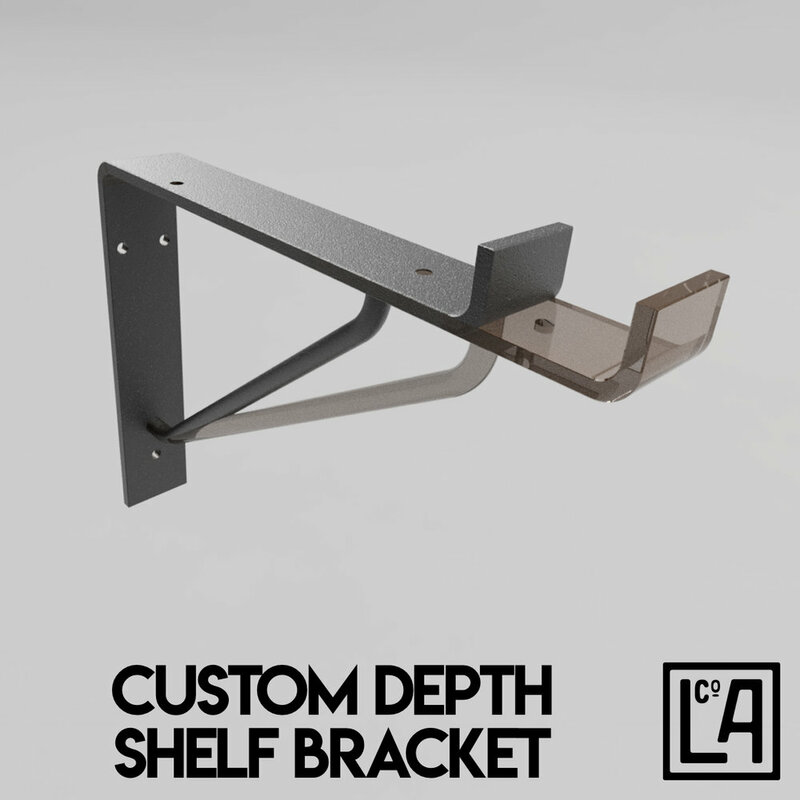 Refer to the drawings to help navigate your way to a custom depth bracket to suit your needs. We are frequently asked to manufacture custom designs to suit a customer's specific needs. We're more than happy to discuss your requirements. Contact us with your shelf dimensions, finish requirements, and planned weight loads and we'll come back with a list of options and/or questions, and then provide you with a no-obligation dimensional drawing for approval. Once the design is finalised we will issue an invoice and after payment, proceed with the job. 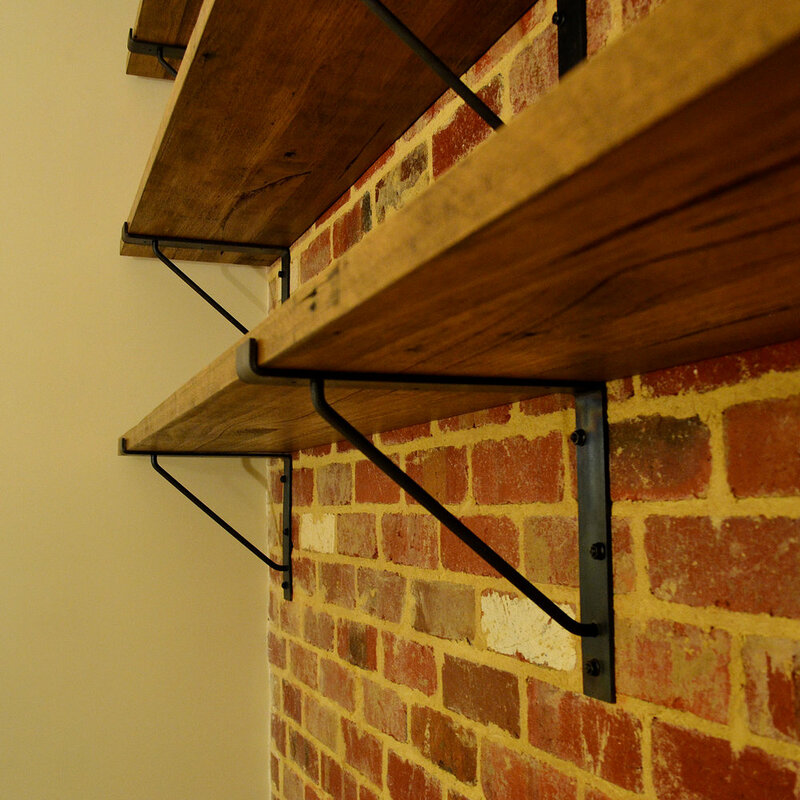 Shelf brackets generally take anywhere from 1-3 weeks to deliver depending on our current workload. Please ask us at the time of ordering about current lead times. 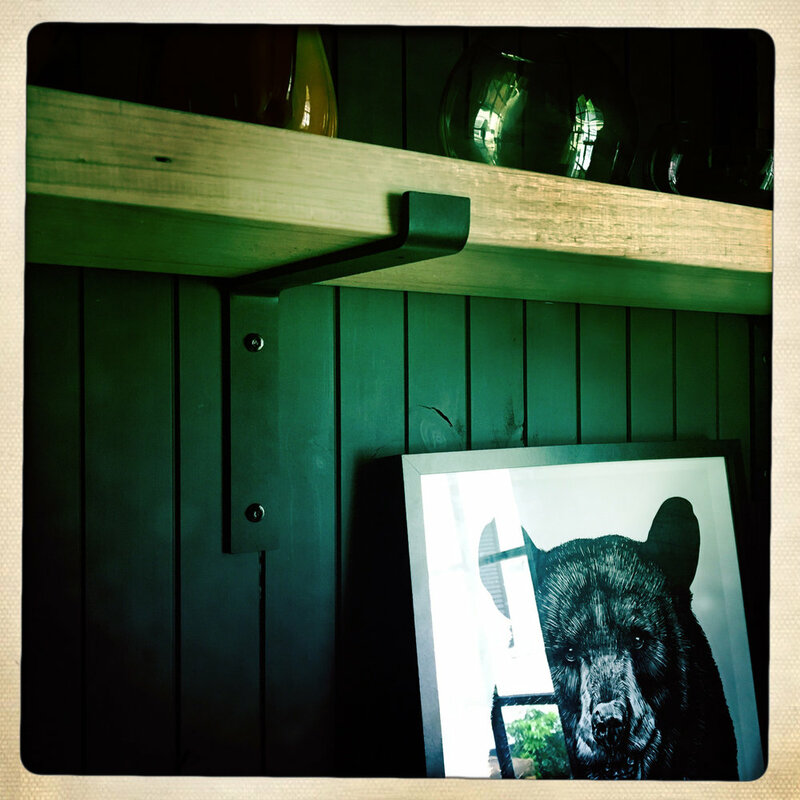 The wall anchor you use and the structure it's fitted to are critical to the stability of your shelving. 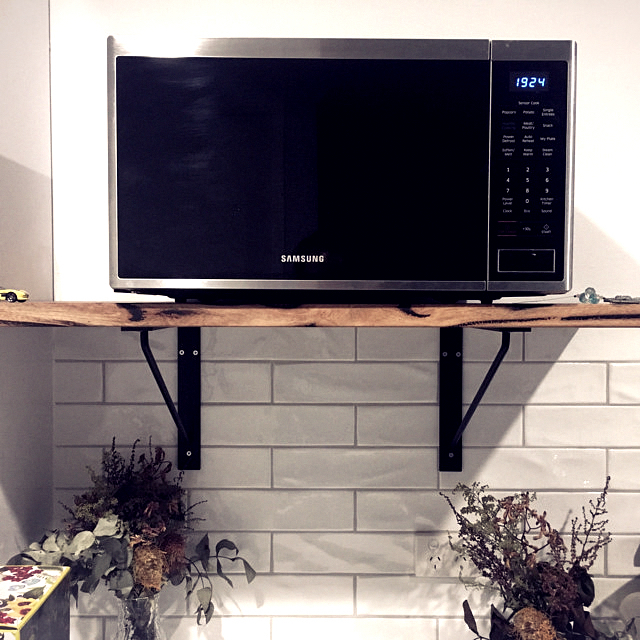 There is little use having ultra heavy duty shelf brackets, only for them to fail due to a weak fixing method. We recently introduced a range of vintage-style wood screws with various shaped heads including round, countersunk and pyramid. We have also introduced blackened 'Dynabolts' to suit masonry applications. These can be used to complement our brackets, and any other project you're involved in. We drill our brackets to suit our range of #12 screws. Have a look in our hardware section. 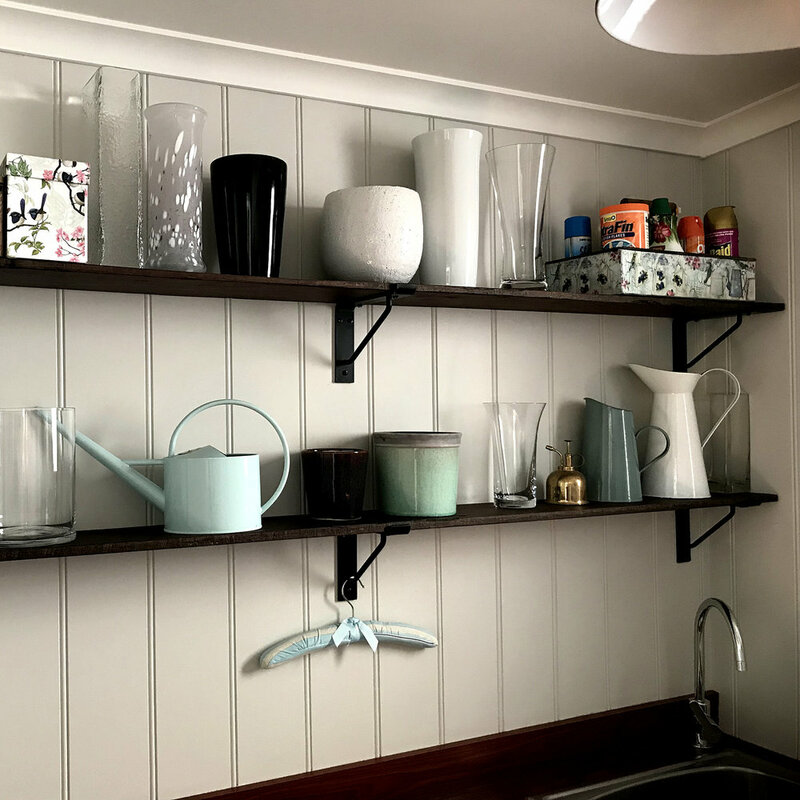 Here's a small selection of customer images featuring a range of our brackets and a little insight into how they are made.